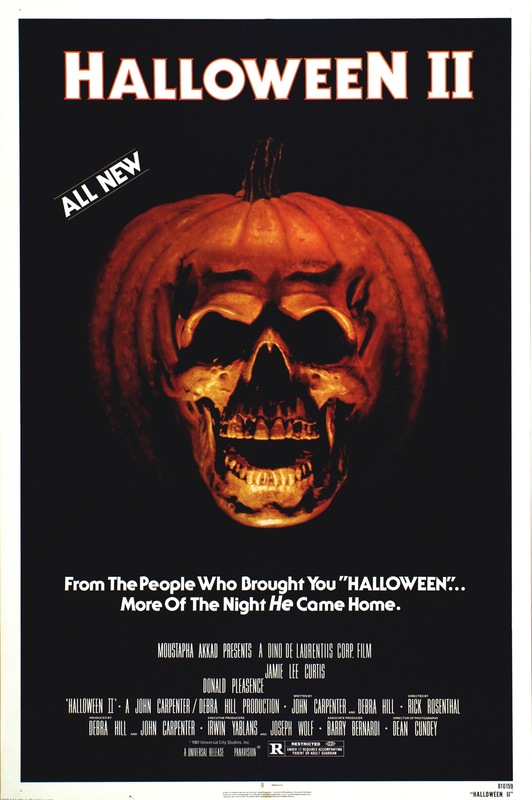 Released in 1981 Halloween II picks up right where the original film left off and making a sequel to a classic film is never an easy task as it’s often a sitting duck for critics and fans, but on the flipside you have an audience before the film is released. Halloween II is one of the rare sequels held in high regard with some hailing as the best horror sequel and with some even rating higher than the original. I disagree on both accounts and while Halloween II is a solid film with enough jolts to get a passing grade it’s also in my opinion far inferior to the original. As far as 80s slasher goes I would rate Halloween II highly as its better than the bulk of these films and I would label it a classic slasher film, but as a horror film while a case can be made for it I would label just under classic status. 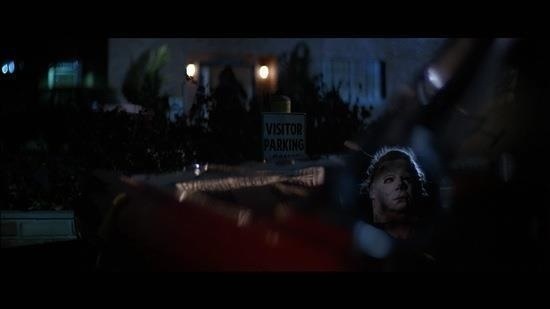 The plot for Halloween II is quite simple and actually there really isn’t much of a plot it’s just simply a continuation from the original film. John Carpenter & Debra Hill return to write the sequel and it’s quite clear based on the script they really didn’t have a whole lot of ideas on where to take the movie. 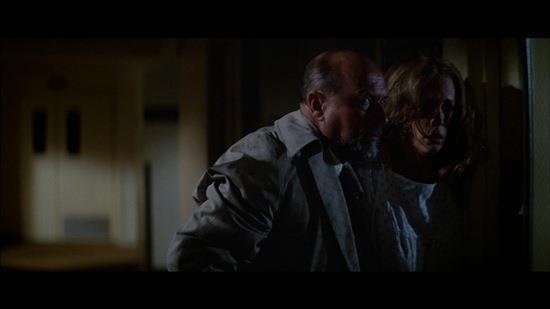 Michael Myers (Warlock) pursues Laurie Strode (Curtis) at Haddonfield Memorial Hospital as Dr. Loomis (Pleasence) continues to search for Michael. 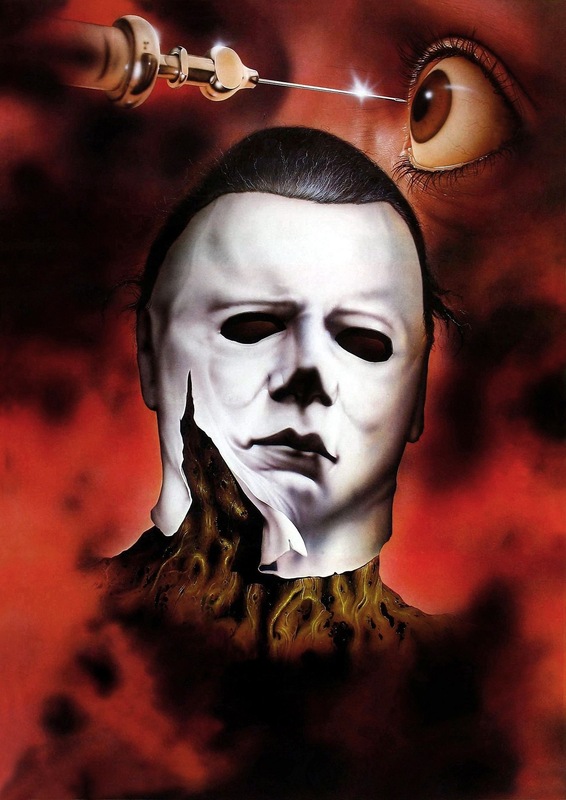 Also at this time the slasher flick was highly popular and Carpenter & Hill are content on following the format of the typical slasher flick of the time, which is ironic since all those films were following the format of the original Halloween. The characters are the typical type that dominated the slasher flick at this point; Halloween II is filled with faceless victims that are only here to add to the body count and none of them really make much of an impact on the movie. The plot of the movie relies far too much on the original and while this might work well through the early parts of the movie the middle sections however is when the plot runs out of steam and Carpenter has admitted he wasn’t sure where to take the movie and that’s how the brother/sister plot came about. It really doesn’t make a whole lot of sense and it’s clear it was a spur of the moment idea, and while it doesn’t really make sense if you don’t linger on it one can accept it. For the majority of the running time Laurie is reduced to being in a hospital bed and there really isn’t anything Laurie adds to the movie and it seems she’s here for the sake of it. 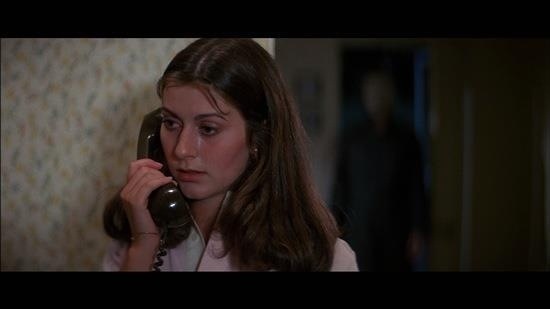 Laurie was one of the few characters in a slasher flick that actually had some depth and it’s a shame she doesn’t have a whole lot to do in Halloween II. 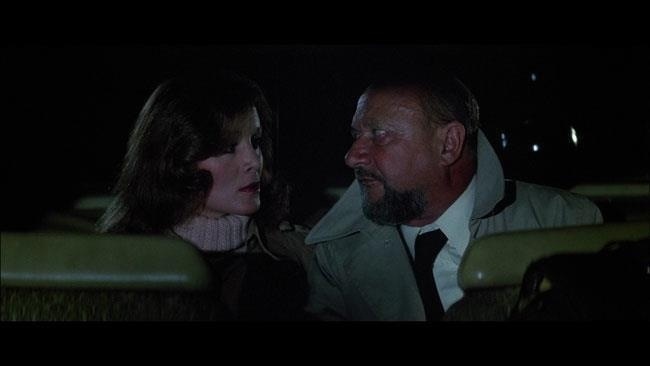 Dr. Loomis has a little bit more going on than Laurie, but for the most part the script has Loomis repeating what he said in the first film only worded differently. As I stated the characters were one dimensional and were only there to add to the death toll of the movie; the characters have little personality and sadly unlike the original, the characters in Halloween II are the typical faceless victims. Despite the shortcomings of the script, Halloween II isn’t poorly written. Carpenter & Hill make the most out of it and while it’s disappointing the characters aren’t stronger I suppose they serve their purpose and Carpenter & Hill deliver an entertaining script and even with the flaws it’s still better written than the majority of the 80s slasher flicks. Rick Rosenthal makes his directorial debut and delivers an entertaining, but uneven movie. From the start of the film, Rosenthal does set up an eerie tone and is able to deliver a movie that has some strong suspense and scares and this is one of the better made slasher flicks of the 80s. The pacing can at times lag, but the script can be partly to blame, but horror flicks can still be scary and suspenseful regardless of the script. 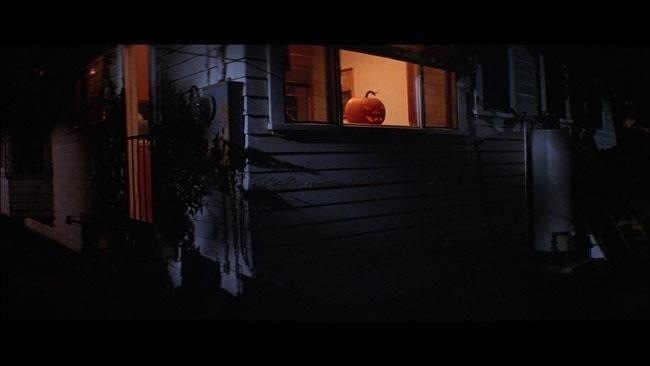 I’d go as far to say the original Halloween became the classic movie it has due to Carpenter’s direction and music the script was good, but really nothing special. The hospital makes for an eerie setting and while Rosenthal does handle it mostly well, it does however get tiresome seeing Michael walk around the hospital in search of Laurie and most people will put the blame on the script and rightfully so, but again a horror film can succeed despite the script. Michael is a lot slower in this one than the previous part and at times it’s a little frustrating since if he just moved at the speed he did in the original he would have caught Laurie with rather ease I suppose if one really wanted to they can explain it as Michael being a little bit weaker from being shot at the end of the original. 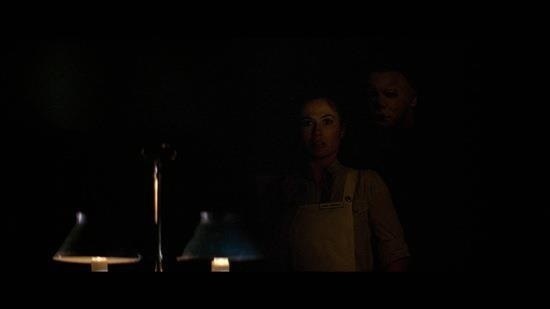 There are times Michael moves at the same pace as he did in the original, but when chasing after Laurie in the final act he moves way too slow and John Carpenter did do some reshoots so perhaps it could be due to having two different filmmakers. For the most part Rick Rosenthal is content on following what John Carpenter did with the original and never really injects his own style to the film. And while if you’re gonna knockoff any filmmaker, Carpenter is a great choice and while this doesn’t hurt the movie it does however make Halloween II feel like a rehash without an identity. However with that said Rick Rosenthal still delivers a well made chiller with some genuine suspense and scares to go along with an eerie atmosphere. The performances were quite strong for a 80s slasher and while the characters may be one dimensional the acting is a step above the majority of the slasher flicks made in the 80s. Jamie Lee Curtis delivers a good performance, but as I stated she really isn’t given much to work with, which is a shame since an excellent actress gets sort of wasted. Donald Pleasence is a little more over the top this time around and what I love about Pleasence is he could play a role straight like he did in the original Halloween, but he wasn’t afraid to ham things up either. 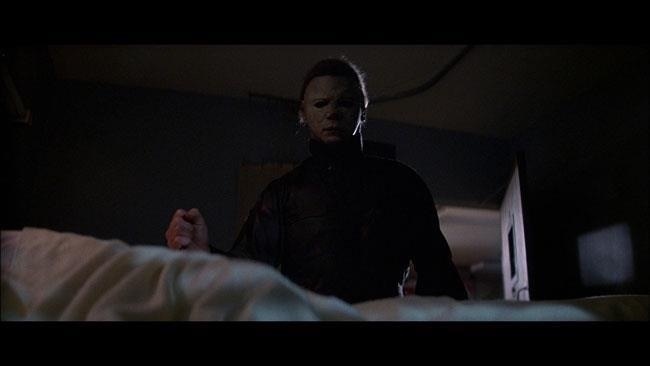 Pleasence walks the line of straight and camp in Halloween II, but delivers an excellent performance and while the character doesn’t add a whole lot at times like always Pleasence is a joy to watch. When all is said and done Halloween II, while in my opinion not on par with the original it still gets it the job done by being a fairly suspenseful and scary movie and while I think this part lacks what made the original such a groundbreaking masterpiece, Rosenthal still delivers an excellent chiller that’s only really bogged down by being like every other 80s slasher flick, which is a disappointment since the original was a cut above everything that followed, but overall I’d still rate this as one of the better slasher flicks of the 80s and one of the better sequels.